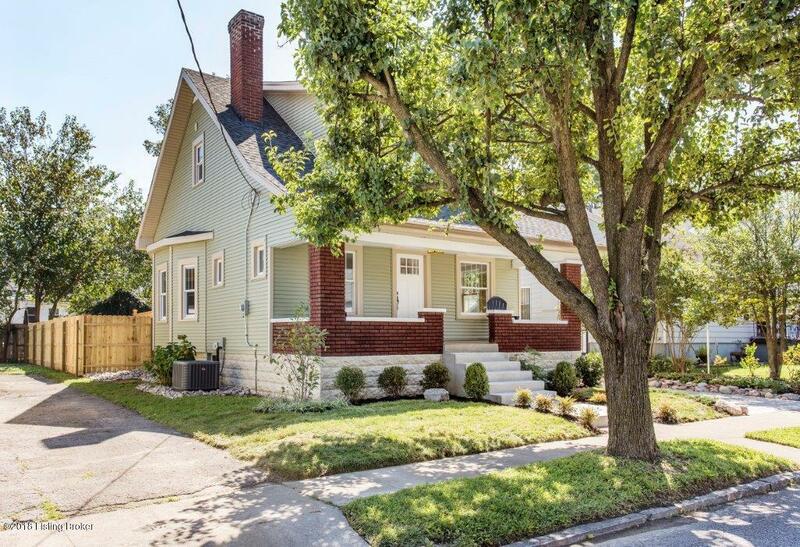 Fantastic, fully renovated bungalow in the sought-after Schnitzelburg area! 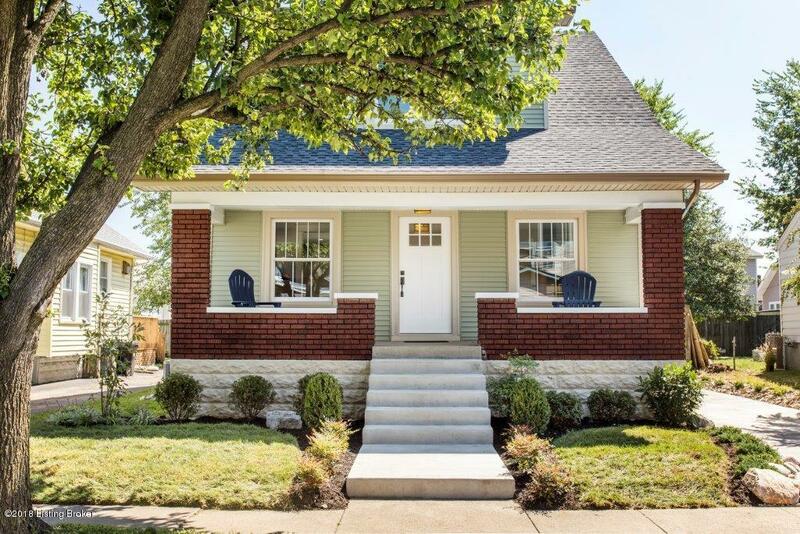 Located in one of Louisville's most booming locales, this completely remodeled home boasts incredible curb appeal and quality updates throughout. 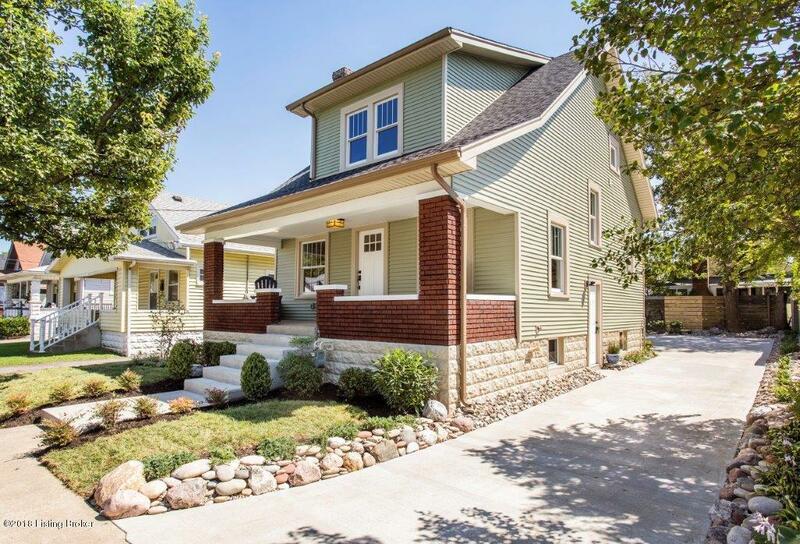 The inviting front porch is the perfect spot to enjoy a cup of coffee in the morning, or, relax after a busy day - the porch leads into the spacious living room with refinished, original hardwood floors and fireplace with reclaimed heart pine mantel. The large dining room is open to the stunning eat-in kitchen. With custom cabinetry, stainless steel appliances, and granite countertops, the kitchen is fit for any serious chef. Open and bright, the first floor layout is perfect for entertaining.Open and bright, the first floor layout is perfect for entertaining. The outdoor rear deck further extends the living space and provides a peaceful setting that overlooks the freshly landscaped backyard with newly poured driveway and parking pad. Back inside, you'll head upstairs to a charming powder room located on the stair landing. The second floor is home to two spacious bedrooms, each with original hardwoods floors and ample closet space. The master features a bonus area that could be used as an office, workout area, dressing room or additional closet space. With a marble-tiled bath and new vanity, the full bathroom is gorgeous! Downstairs, the waterproofed basement affords the new buyer endless possibilities. Other updates to this home include new windows, updated electrical and plumbing systems, newer HVAC, as well as new roof, gutters and siding. 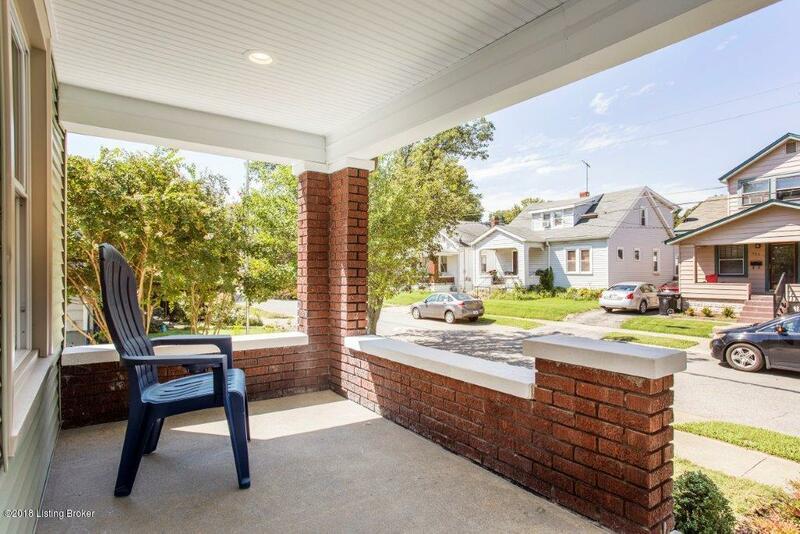 Convenient to hotspots such as Nord's Bakery, Sunergos, and Z Bar, this move-in ready house is the perfect place to call home.